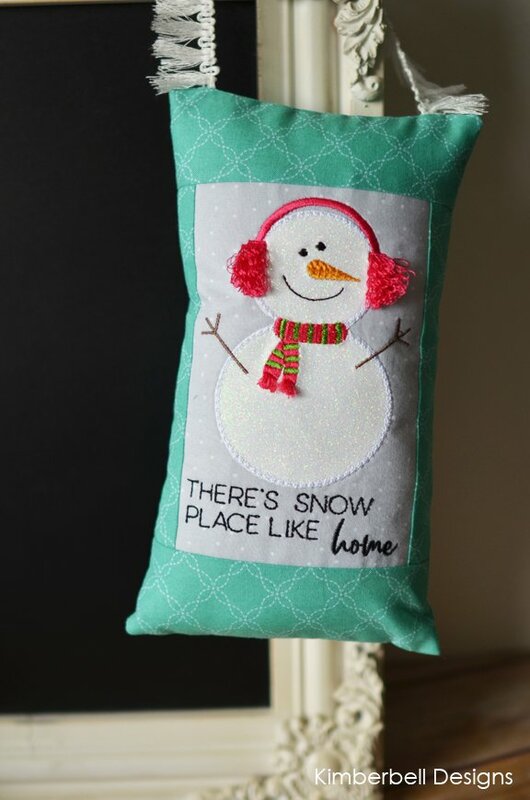 This adorable mini pillow finishes at 9.5" x 5.5" and features a snowman with the sweet sentiment "There's Snow Place Like Home". Makes a perfect "bench buddy" for the larger Kimberbell bench pillows, or perfect on its own! This is a Machine Embroidery project - please bring your embroidery machine! Please have all of your fabric selected and cut before you arrive to class. We also carry the full line of "Kimberbellishments" (such as tassels, pom poms, ribbons, glitter sheets) to add those darling details!